Choosing a web design company is an important step. That is why you need to select the right company to plan and implement flexible solutions that makes the design process simple, clear, and fast. Our clients are important to us and we make every effort to help you with your new or existing project. Components of your website such as graphics, the layout, text fonts, content, and ease of navigation has a major influence on visitors to your site. 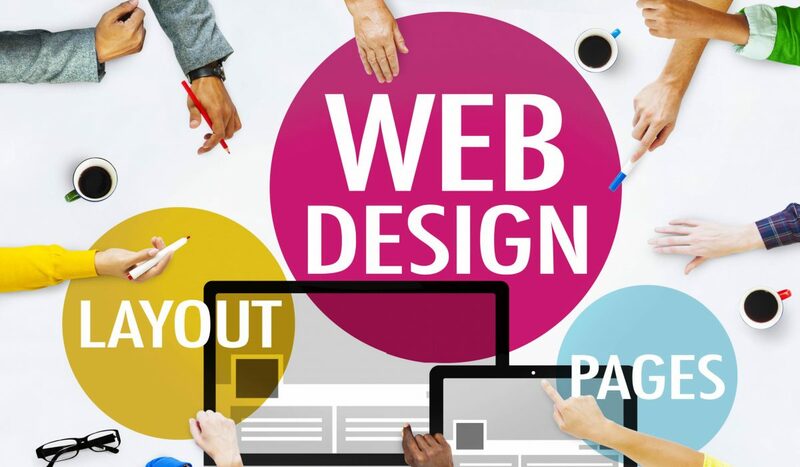 We can design and develop a website that is user friendly, content enriched, and graphically attractive that encourages potential customers to stay on your website. During the design process, we take into consideration of making your website have fast load times and also maintaining a visually appealing design. Your website makes a statement that represents you and your business. So it is important to appear at your very best. At Computer Don, we provide professional website designs and create custom logos at affordable prices. We can improve the appearance of your website by creating a cutting-edge design and layout that will encourage your visitors to stay and read the content on your website instead of moving on to other similar websites. You can select from one of our professional templates or we can create a websites from scratch using the best design techniques in the business. Our designs use the finest elements of typography, usability, optimization, and colour profiles. During the development phase we code valid CSS and XHTML that helps your website load faster, works in all browsers, optimized for search engines, and integrates with any CMS such as WordPress or Joomla. One of the most important first steps in developing an identity for your company is crafting a logo. Our logo design process is highly creative and simple. During this process, we work with you to develop a logo design and slogan that you want and that represents your business. We provide high quality custom website and logo designs that will help create a great impression whether you are a small business or a large corporation. At Computer Don, we strive to provide your company with the most unique, professional logo and website designs, business card designs, or any video and audio production. Creating a brand or identity of your business is very important because you are creating a message that you will share with your customers. We assist you in defining your message and work with you in creating your website design and logo. The content of your website can make a difference in search engine visibility and whether visitors will stay on your website. We can create content for your website if needed. Business growth and expansion can come quicker than expected. It is important to have variable business growth as part of the planning process for your business and website development. Designing and coding your website is another major development process. It is important that your website is easy to manage and is expandable if you need to add more functions in the future. We design and develop websites for anyone in the United States or worldwide. Give us a call at 214-212-5973, for prompt and professional service at HALF THE PRICE, guaranteed. For a FREE Estimate, fill out the Contact Form on the Contact Us page or click here.